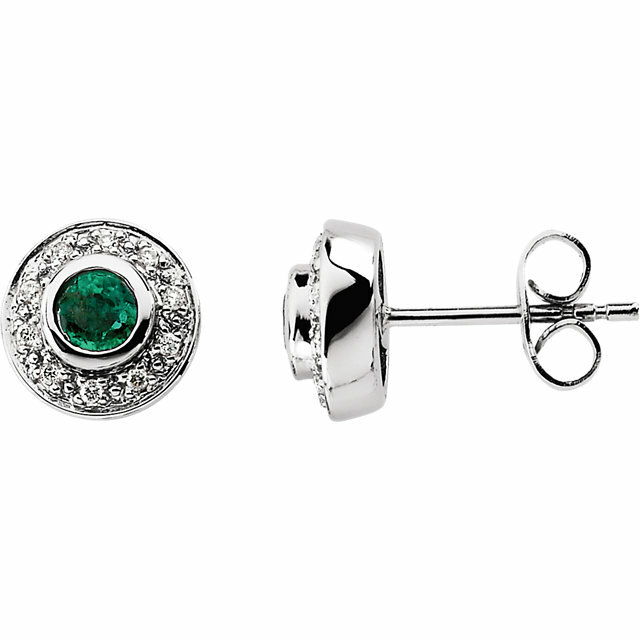 Experience the zenith of high-fashion and elegance. 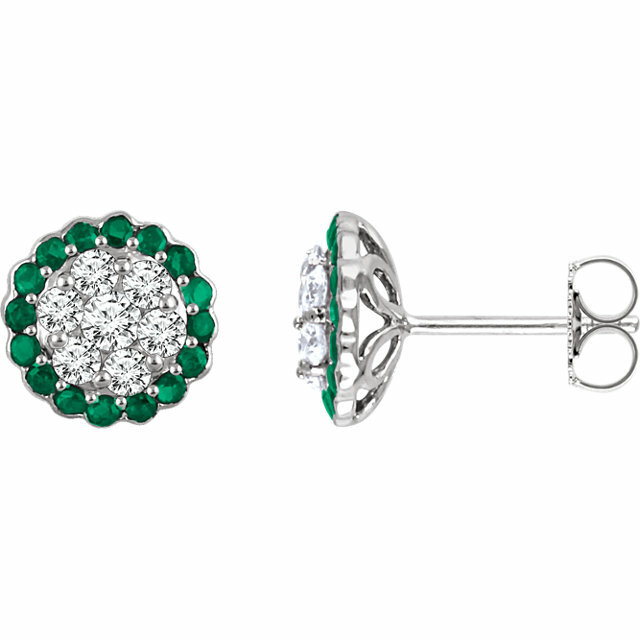 Emerald earrings convey a royal, luxurious quality and make a glamorous statement. 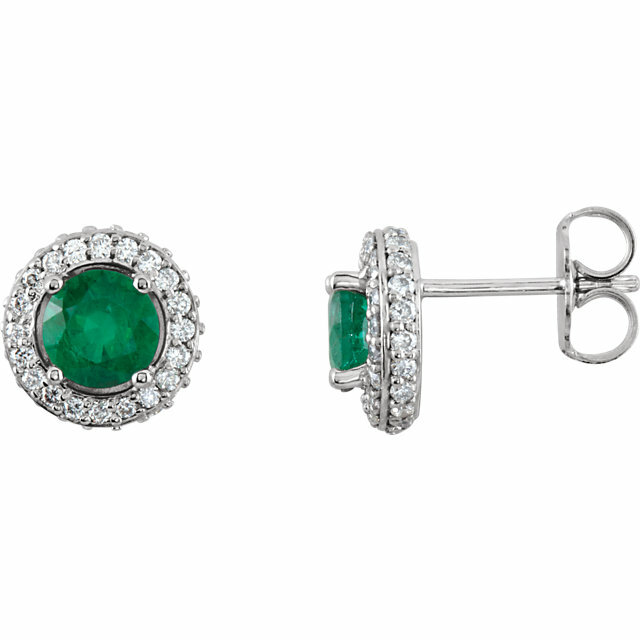 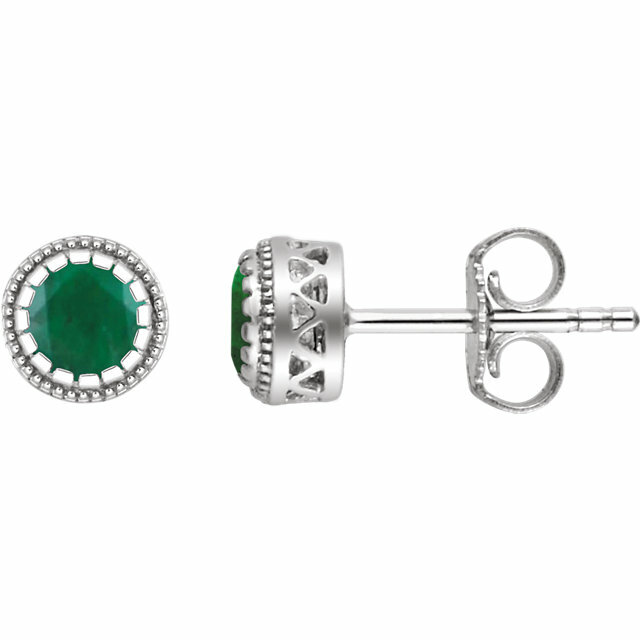 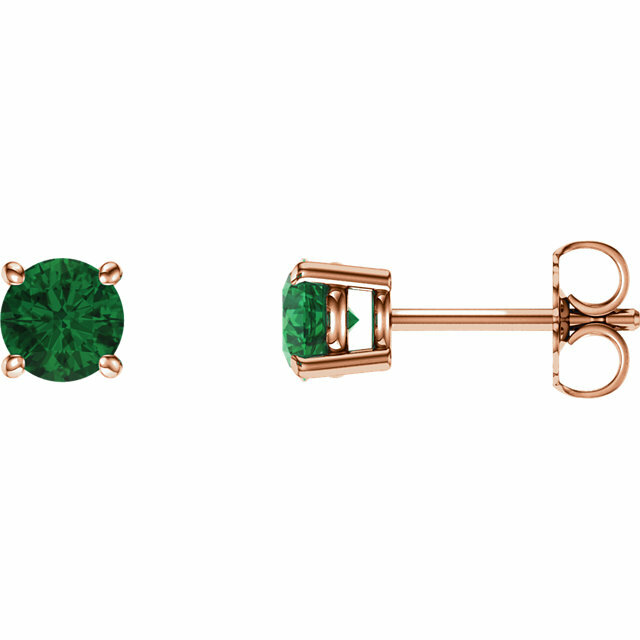 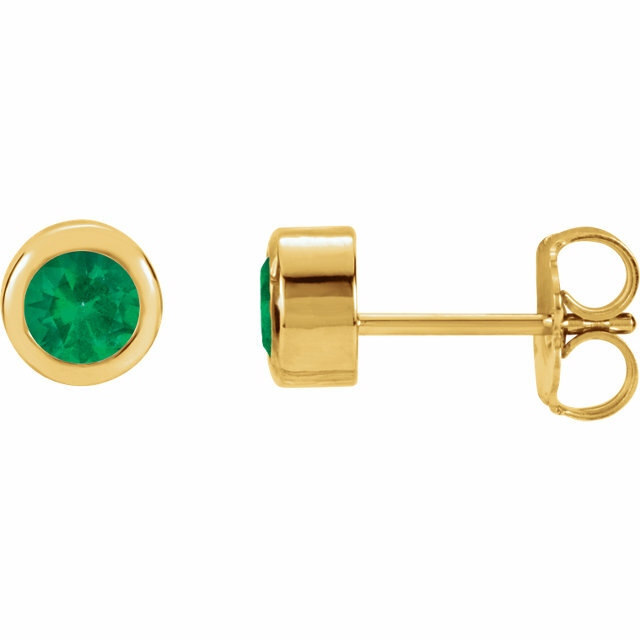 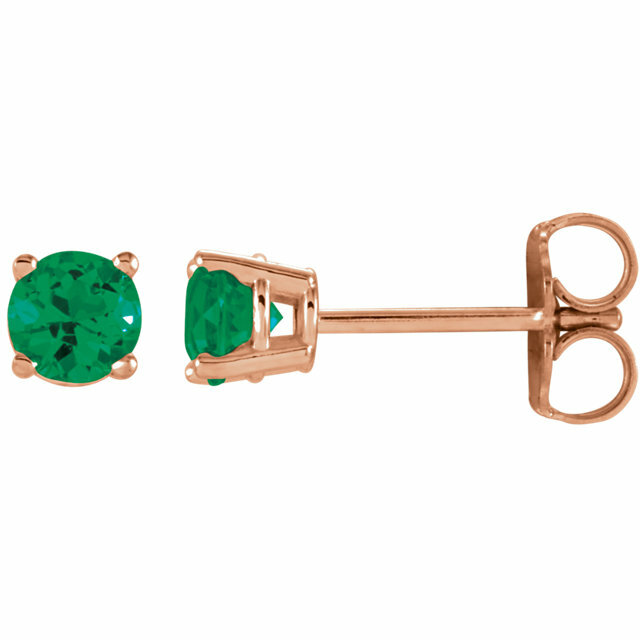 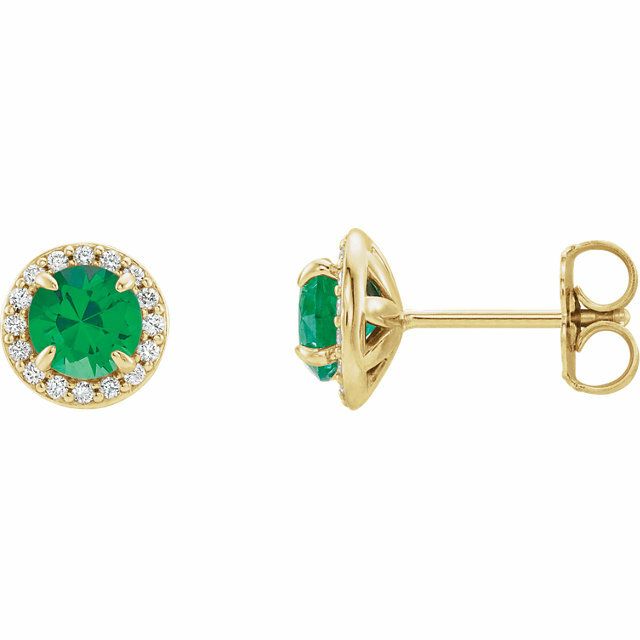 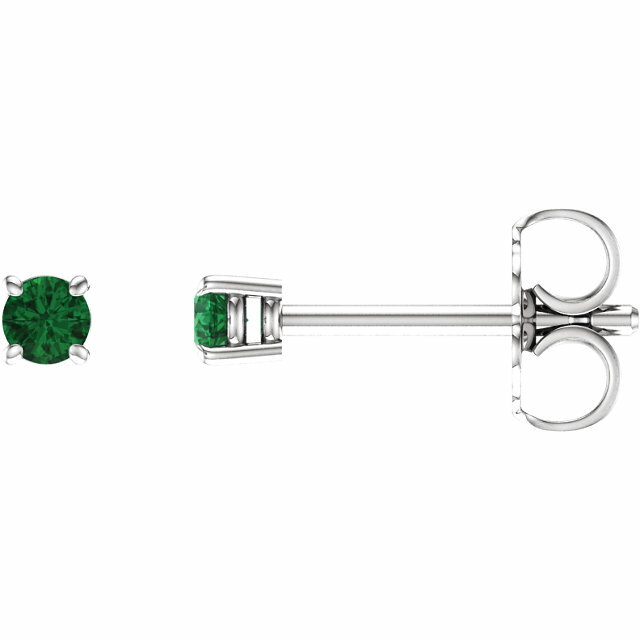 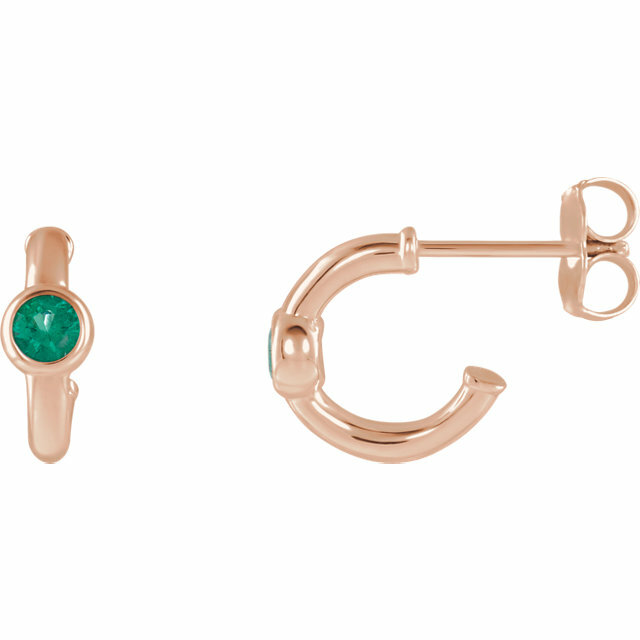 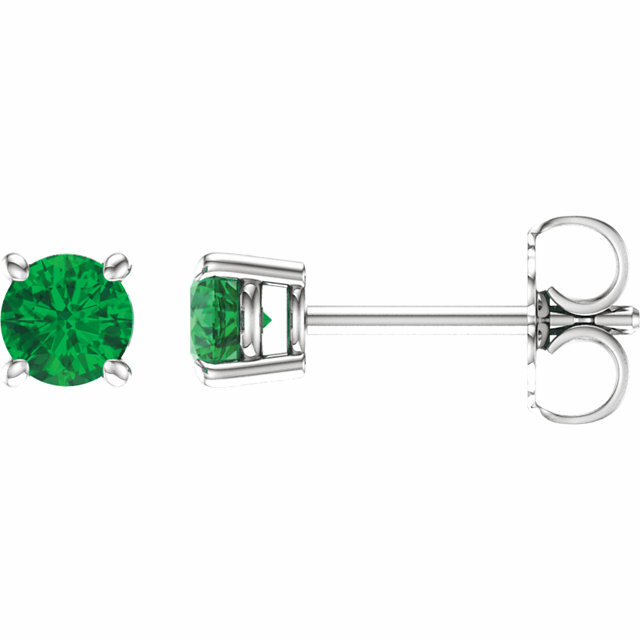 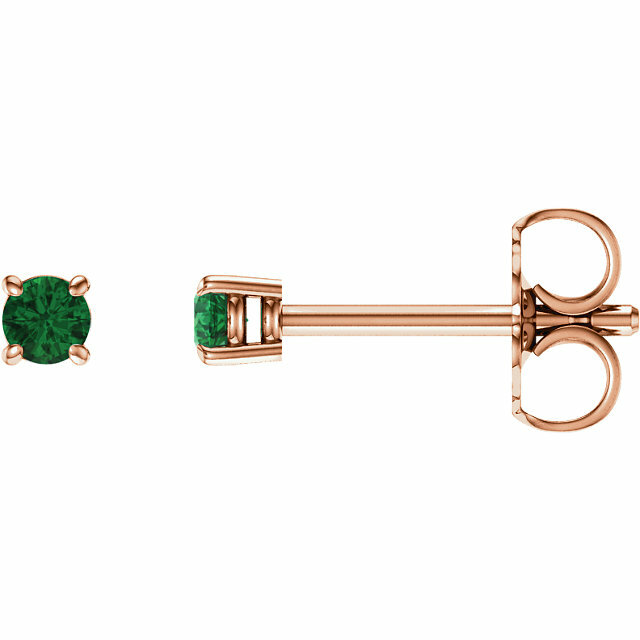 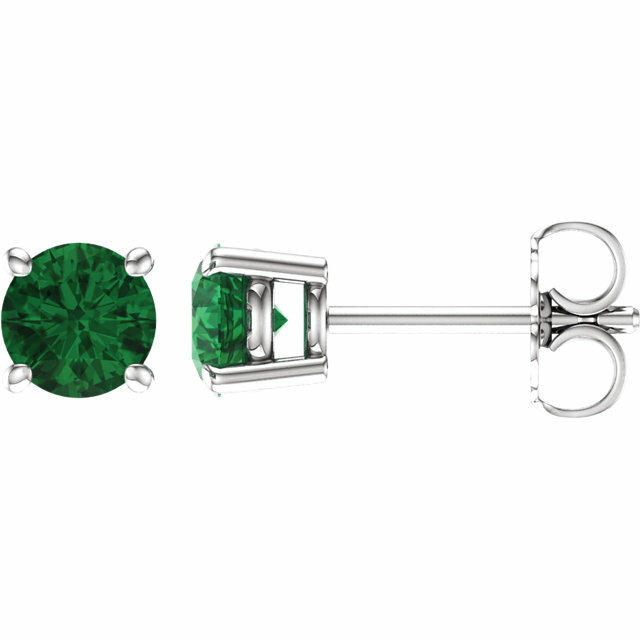 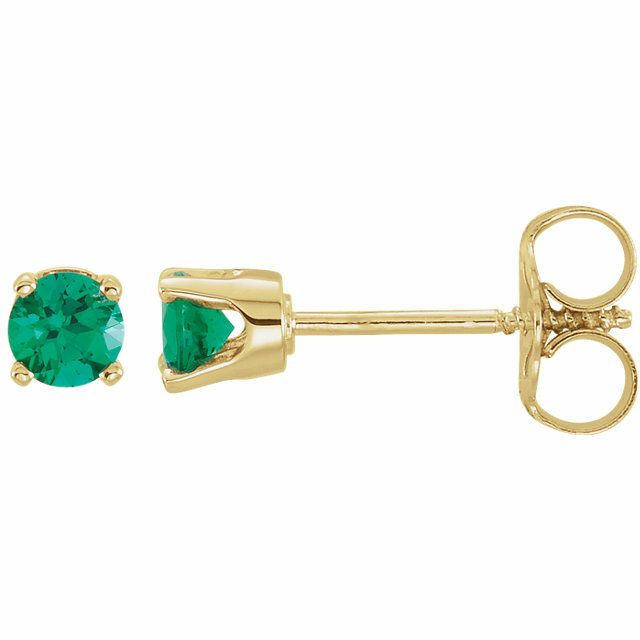 With three distinct pairs to choose from, we offer the best Emerald earrings on the market. 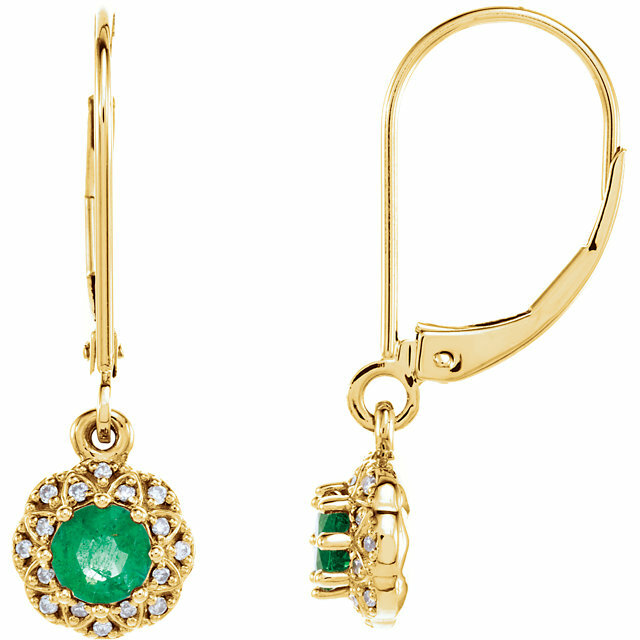 If you love dangling earrings, you will go mad for our stunning emerald hanging earrings featuring a waterfall of emeralds and diamonds artfully cascading downward. 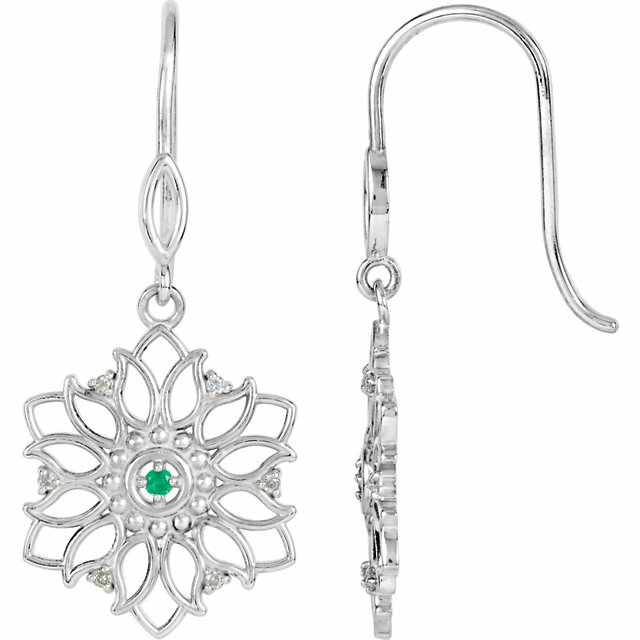 These breathtaking earrings can be purchased with a matching pendant. For those who go crazy for animal prints and jungle inspired motifs, check out our diamond jaguar earrings with arresting emerald eyes. 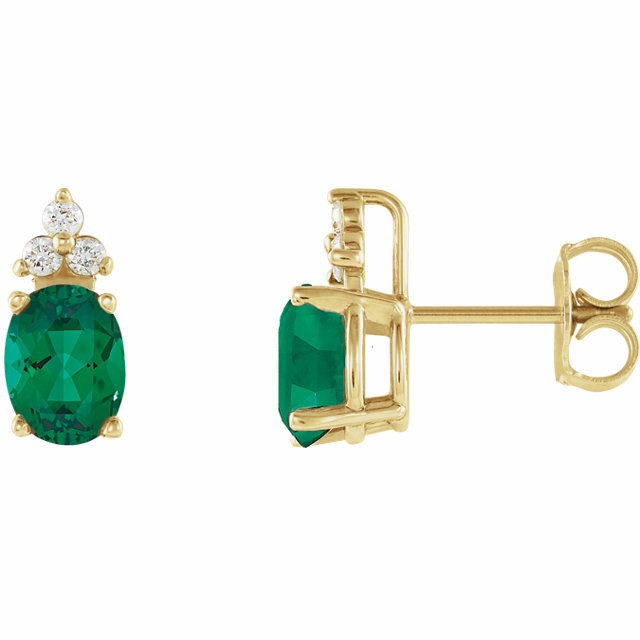 These earrings can be paired with a matching ring and pendant for a complete look. And of course we have the classic Emerald stud earrings set in white gold with a decorative trio of three diamonds atop the Emerald to add class and regality. 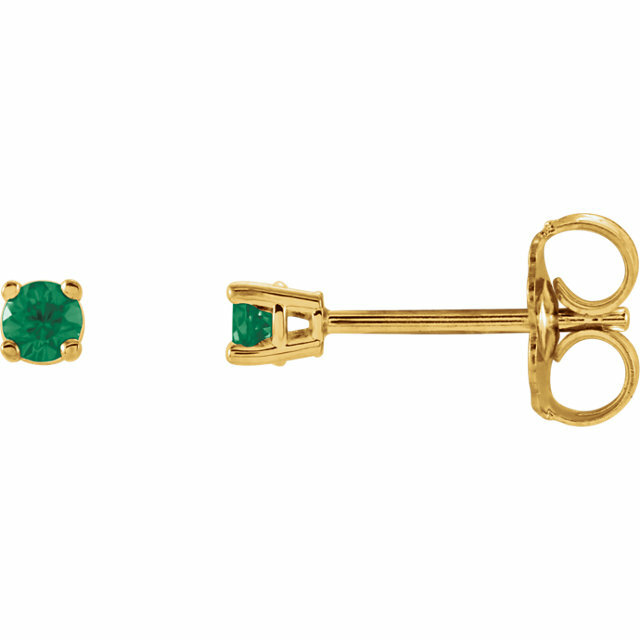 When is the last time you bought her a gift that she really liked? 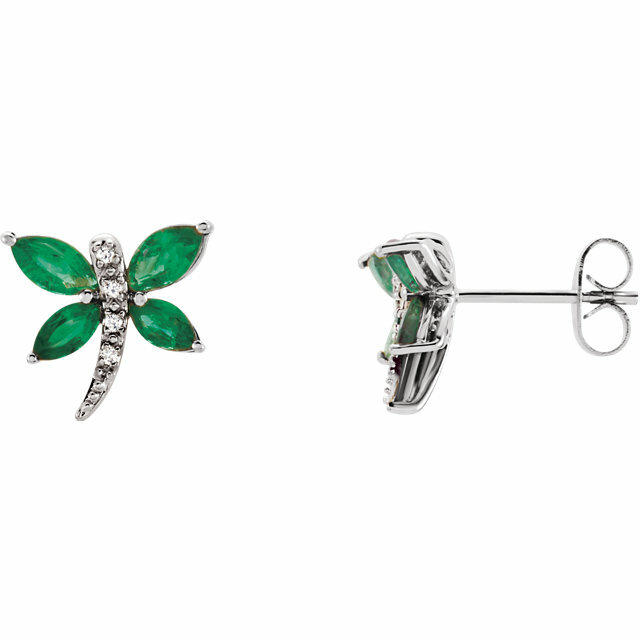 Are you sure she wasn�t just humoring you when she said she liked the mug you bought her last time? 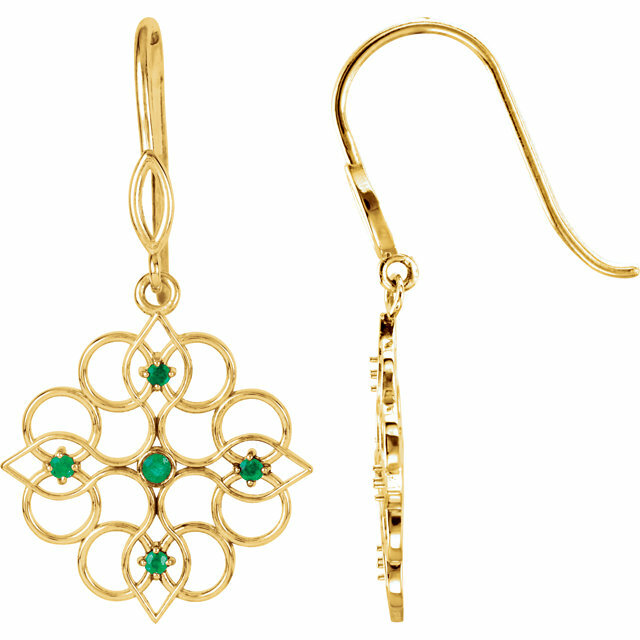 Give her a gift she�ll really love and spare her the show of fake smiling. There is no woman who would not love to get one of these pairs of Emerald earrings as a gift. 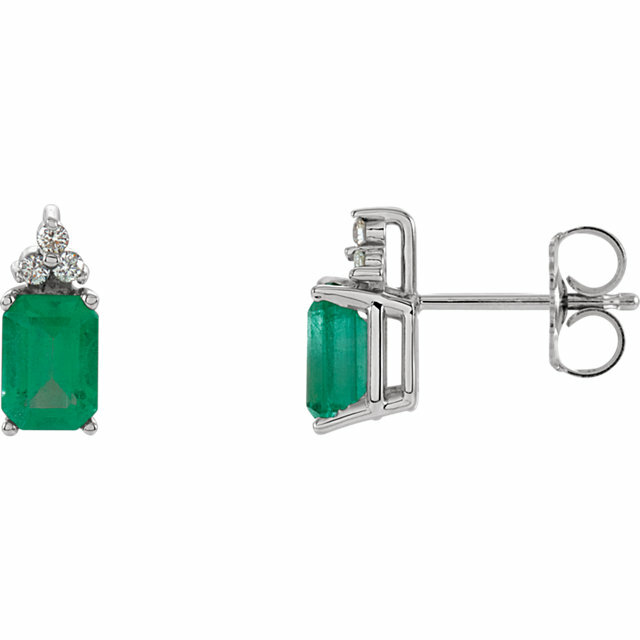 For the next birthday, anniversary, special occasion or just because, surprise her with a stunning pair of Emerald earrings and enjoy the look of sheer joy on her face. 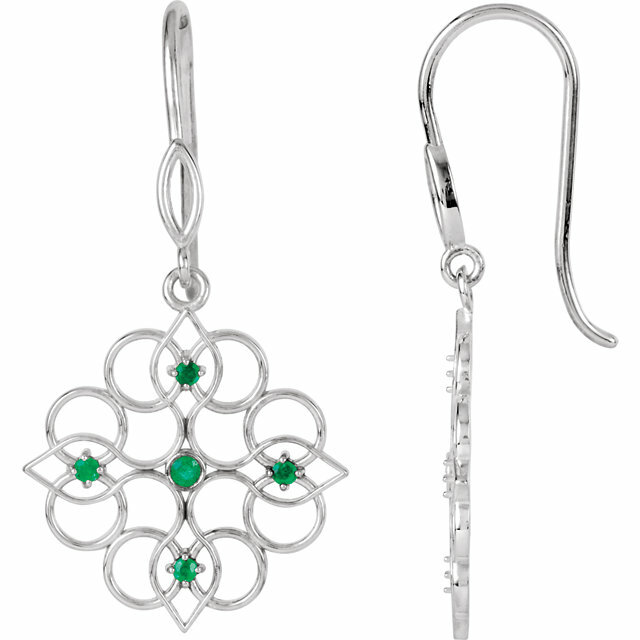 We offer free, same day shipping on all orders. 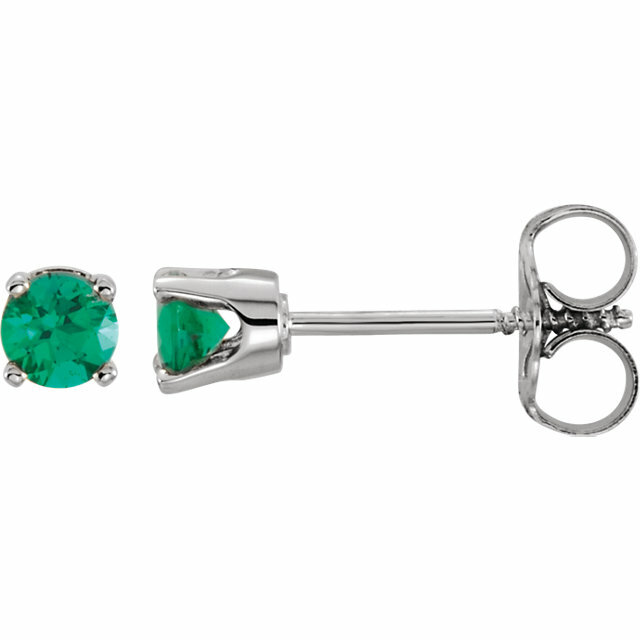 Plus our entire inventory is in stock, ready to be shipped to you. 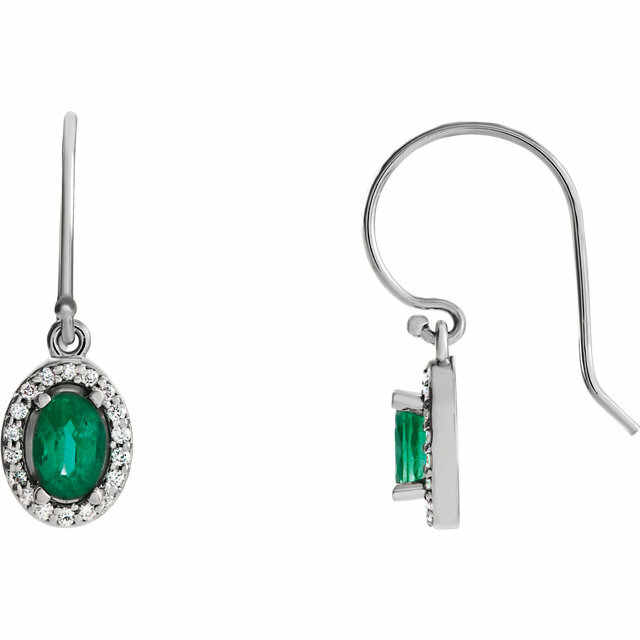 Pick out your favorite pair of Emerald earrings and start wearing elegant gemstone jewelry today.